These delicious, no bake treats are the perfect way to boost magnesium levels, one of the physiological reasons we crave chocolate. They are rich in healthy fats, antioxidants and iron and the perfect way to satisfy a craving, without the added guilt! Place all ingredients in a food processor. Combine until a dough forms. 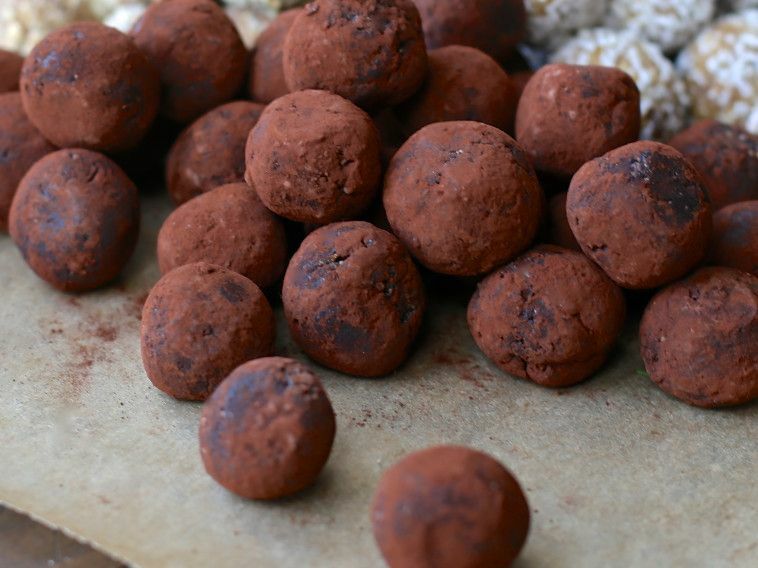 Using a 1/2 tablespoon serving, roll dough into a ball and dredge in cacao. Place in the refrigerator to firm up for about 15-20 minutes. Enjoy!